The rat with the MEC lesion (right) shows a poor ability to remember the location of the resting platform (red dot). The findings are published online in the current issue of Cell Reports. Grid cells and other specialized nerve cells in the brain, known as “place cells,” comprise the brain’s inner GPS, the discovery of which earned British-American and Norwegian scientists this year’s Nobel Prize for medicine. In research that builds upon the Nobel Prize-winning science, UC San Diego scientists have developed a micro-surgical procedure that makes it possible to remove the area of the rat’s brain that contains grid cells and show what happens to this hard-wired navigational system when these grid cells are wiped out. One effect, not surprisingly, is that the rats become very poor at tasks requiring internal map-making skills, such as remembering the location of a resting platform in a water maze test. “Their loss of spatial memory formation was not a surprise,” said senior co-author Robert Clark, PhD, a professor of psychiatry. “It’s what would be expected based on the physiological characteristics of that area of the brain,” which is known as the entorhinal cortex and is the first brain region to break down in Alzheimer’s disease. But the rats retained a host of other memory and navigation-related skills that scientists had previously speculated would be destroyed without grid cells. “The surprise is the discovery of the type of memory formation that was not disrupted by the removal of the grid cell area,” Clark said. Specifically, UC San Diego scientists were able to show that even without grid cells rats could still mark spatial changes in their environment. They could, for example, notice when an object in a familiar environment was moved a few inches and they could recognize objects, such as a coffee mug or flower vase, and remember later that they had seen these objects before. 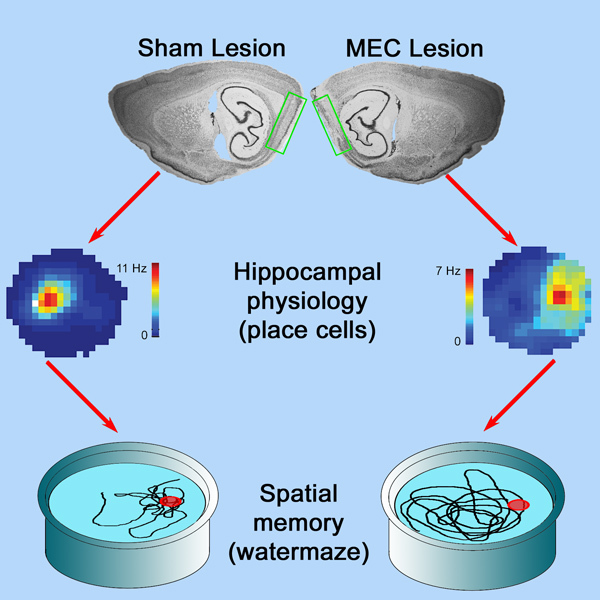 Electrical recordings of signals transmitted from the hippocampus suggested that the animals had developed place cells – cells that are believed to convey a sense of location – and that these cells were firing when an animal passed through a familiar place. 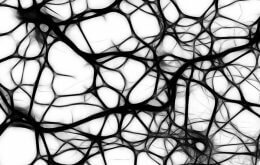 The axons of grid cells project into the hippocampus and it has been assumed that without this relay of information from the entorhinal cortex to the hippocampus, place cells would be unable to develop. “This is not the case,” he said. This work was supported, in part, by the National Institute of Neurological Disorders and Stroke (1R01NS086947-01), National Institute of Mental Health (MH24600 and MH020002-13) and the Department of Veterans Affairs.